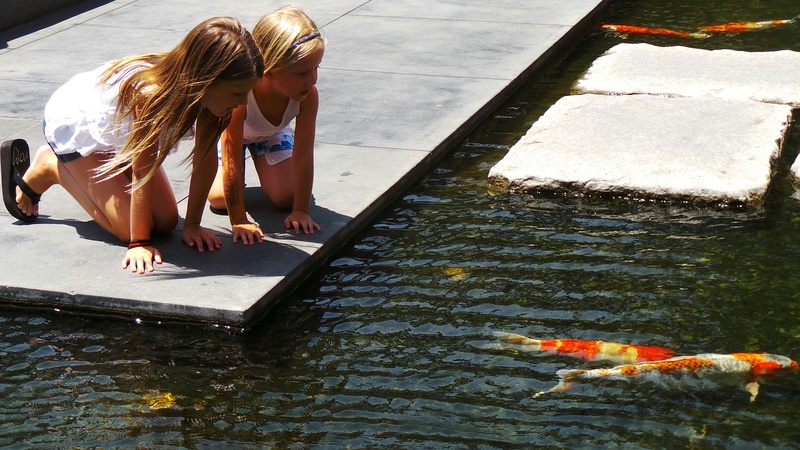 I remember running around the Fashion Island Koi Ponds in Newport Beach as a young girl, and now I get to see myself through the eyes of my children running around the same pond. 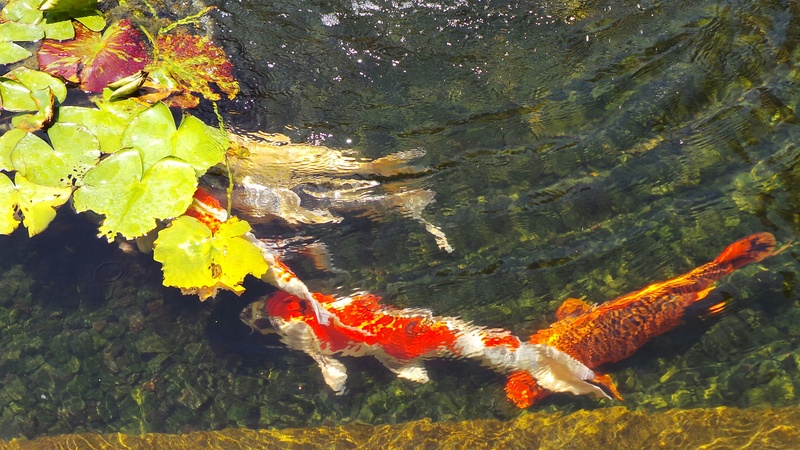 Growing up, our home was just a few blocks from Fashion Island, and my parents would sit and enjoy time with their friends while I watched the beautiful fish swim by. 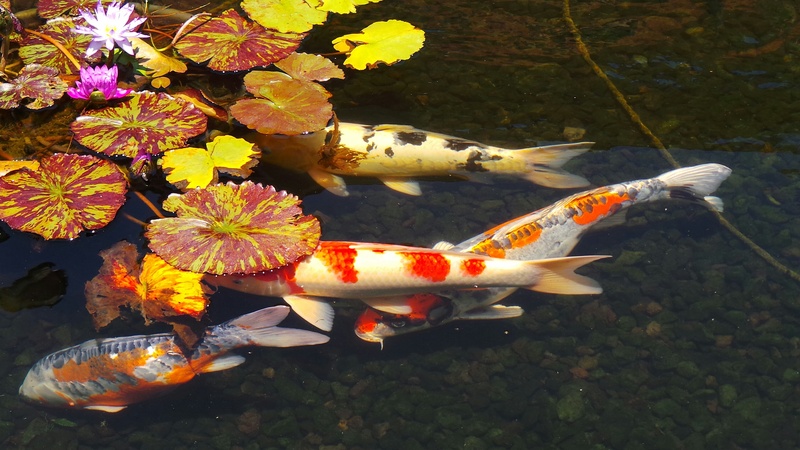 Koi is such a beautiful fish that can be so relaxing to sit and watch. 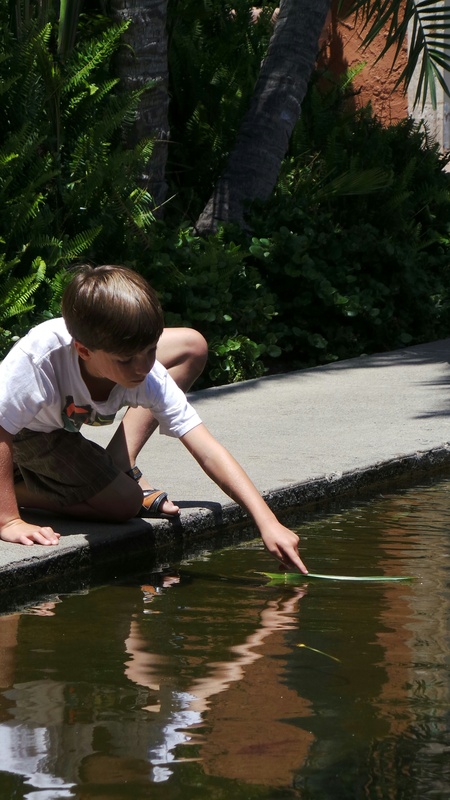 My children could spend hours watching the Koi swim around the lily pads that float on the water in the majestic pond. 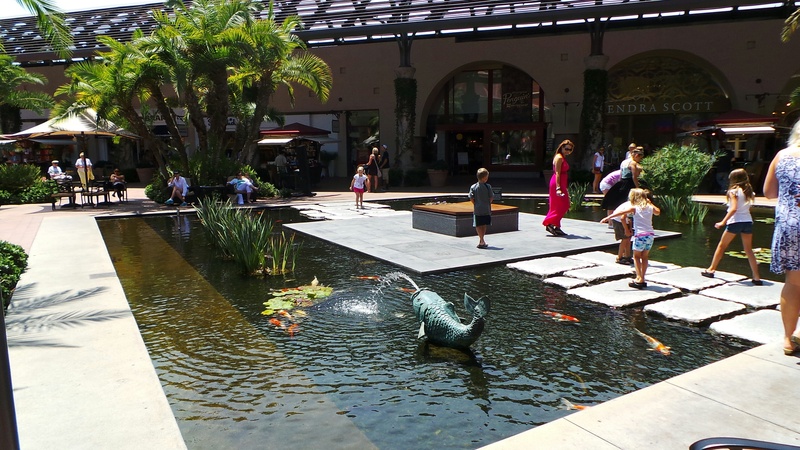 The Koi pond is located right outside of Atrium Court in the center of Fashion Island. There are plenty of benches, tables and chairs for parents to relax and reflect while their children frolic and play. 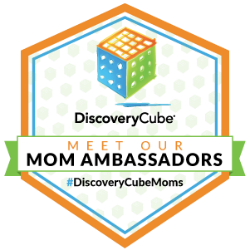 When we plan a day to visit the Koi at Fashion Island, we normally bring a treat from Casey’s Cupcakes to enjoy eating while playing. 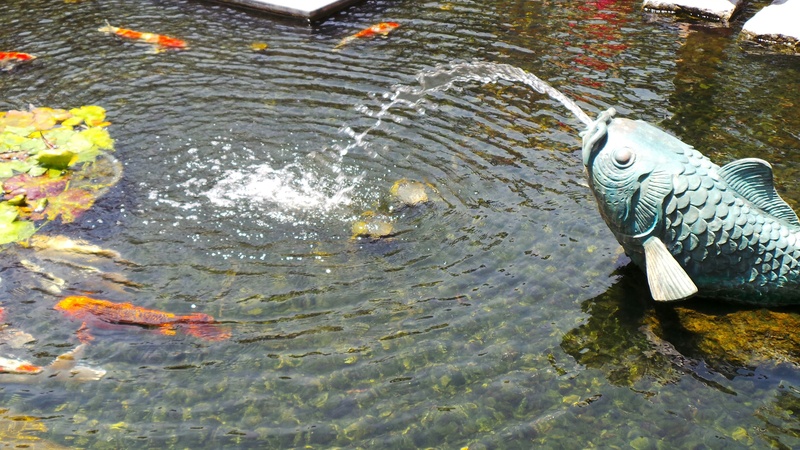 There are also plenty of food options at the bottom floor of Atrium Court that your family can bring to dine at one of the outdoor dining tables around the Koi pond. Fashion Island is located at 401 Newport Center Drive in Newport Beach.